Brand-name drug firms are falling short of the research and development (R&D) spending levels that they committed to when they first saw an increase in their periods of market exclusivity in 1987, according to a new report. That was the conclusion reached by the Canadian Generic Pharmaceutical Association (CGPA), in an analysis of the latest drug-industry statistics from the Patented Medicine Prices Review Board (PMPRB). In 2017, member companies of Innovative Medicines Canada spent only 4.6% of their Canadian revenues on research and development in Canada — less than half of the 10% that they committed to three decades ago. The CGPA report also noted that member companies of Innovative Medicines Canada have not met their 10% commitment in 20 of the last 30 years. A comparison of R&D-to-domestic-sales ratios across different countries showed that Canada’s brand-name industry lagged in 2015 with 4.4%. In comparison, the US industry had 24.8%, while in the UK the number reached 25.7%. A host of other European countries were also shown to outpace Canada, with Switzerland topping the rankings (129.5%) and Italy being just above Canada (6.2%). "Despite ten separate increases to their patent monopolies since 1987, their investments continue to lag far behind their commitments," said CGPA President Jim Keon. 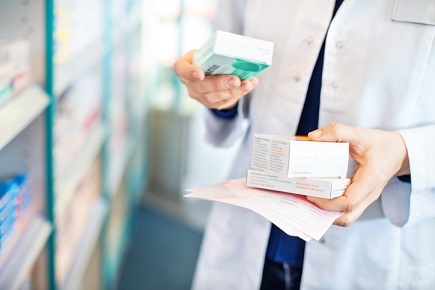 The CGPA noted that the pharmaceutical provisions in the USMCA provide extended periods of market exclusivity for biologic medicines from eight years to 10 years. That means competition from biosimilar biologic drugs, which are sold for lower prices, will be delayed. Consider that biologic medicines represent the fastest-growing cost segment of health-care spending, and it all spells extended financial pressure for patients, businesses that sponsor employee drug plans, and private payers. “It is critical that the Government of Canada ensure that their implementation of these costly USMCA provisions do the least amount of harm possible to Canada's health-care system,” Keon urged.